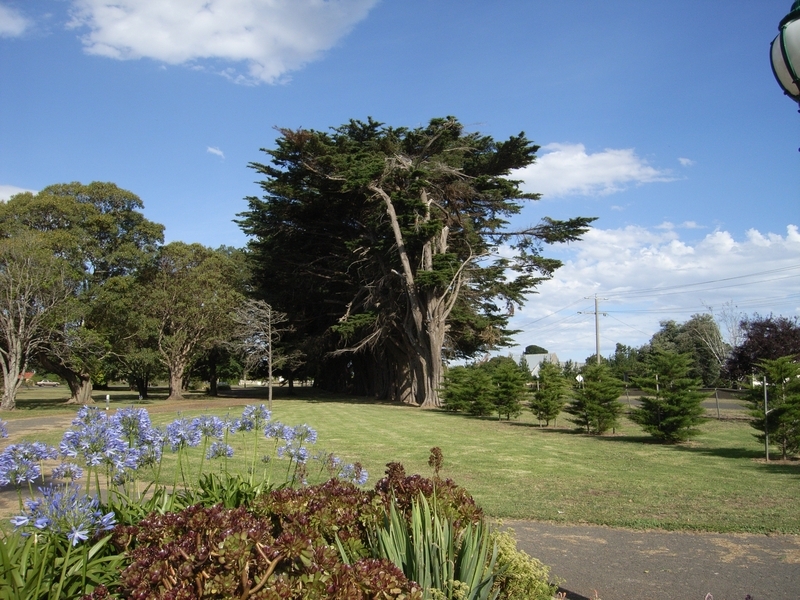 The Koroit Botanic Gardens is an outstanding, Guilfoyle inspired provincial botanic garden which includes trees and shrubberies, pathways; significant trees and the 1880 Guilfoyle plan. 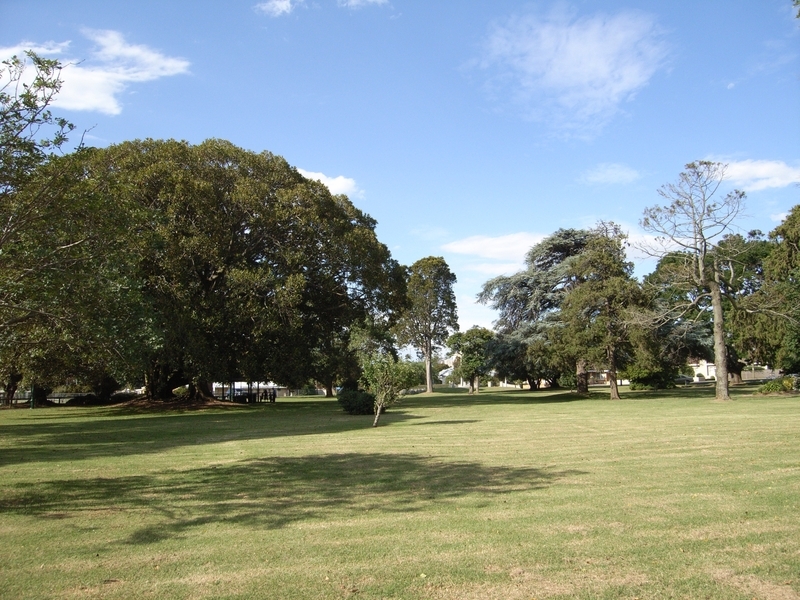 In 1857 the district surveyor Thomas Watson provided a 20 acre allotment for public gardens in Koroit immediately south of the National School reserve. In 1873 the site was permanently reserved as a Public Gardens and Recreation area. The northern portion, Victoria Park, was used in the 1870s for sporting events. The south west section became a cricket ground from about 1873 and is now the Jack Keane Oval. Little garden development occurred before 1866, but in the following years beds were laid out and the first plantings occurred. In June 1870 Ferdinand von Mueller, Director of the Melbourne Botanic Gardens, donated 190 plants to the Koroit Gardens. This is likely to have included many conifer species, especially Pinus, Cedrus, Cupressus and Araucaria. The first curator James Mathewson from Warrnambool was appointed in May 1876. William Guilfoyle prepared a plan in 1880 for the Gardens, which covered about 12 acres of the southern part of the reserve. The plan retained many existing trees, mainly conifers, and proposed a new serpentine pathway, shrubberies and perimeter planting. In addition to the fine specimen trees, the Gardens contained a great variety of beds and shrubs, topiary and trellised roses and tree ferns. Regular donations of plants from other botanical gardens, and donations of plants from local residents, testify to the Gardens important botanical and community role. In 1996, 55 plants were received from the Royal Botanic Gardens as part of the Flora for Victoria project. Today the Gardens have an outstanding collection of conifers, figs, and a fine Draceana draco. 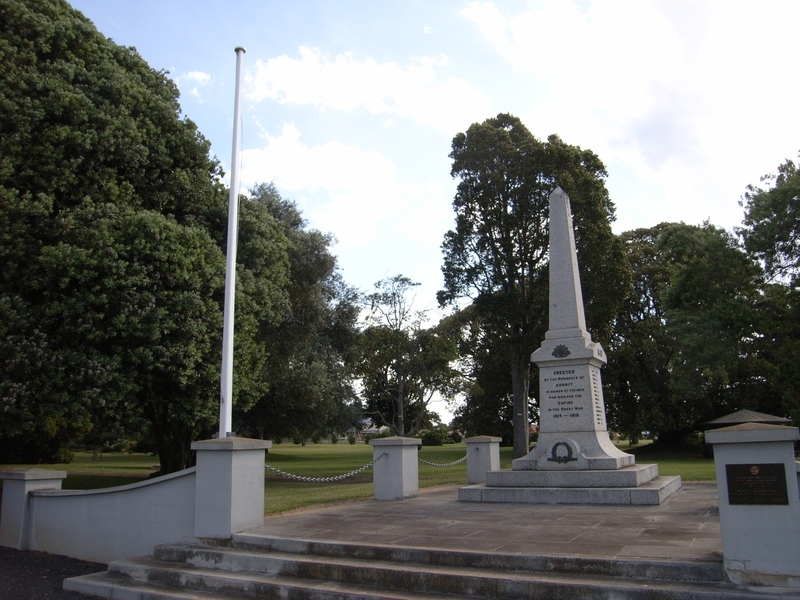 In 1921 a memorial was proposed to honour 17 local men who lost their lives in the First World War and in 1928 an obelisk was erected. In 1990 this was raised and placed on a larger base and partially enclosed by a low wall. In 1937, new entrance gates were erected, the D.S. Coto Memorial Gates, as a gesture of appreciation to former doctor Daniel S. Coto. In response to the increasing popularity of caravan holidays, the north west corner of the Gardens was used as a caravan and camping ground in the 1950s. The Botanic Gardens land was re-reserved in 1961 for the purposes of 'Public Park and Recreation'. The Koroit Botanic Gardens are of historical, scientific and aesthetic significance to the State of Victoria. The Koroit Botanic Gardens are of historical significance as one of the earliest provincial botanic gardens in Victoria, an integral part of the 20 acre reserve within the 1857 township plan permanently reserved for the purpose of Public Gardens and Recreation in 1873. Botanic Gardens had already been established at Melbourne (1846), Geelong and Portland (1851),White Hills (1854), Williamstown (1856), Ballarat, Malmsbury and Hamilton (1857) and Warrnambool commencing in 1858 and in its current location since 1866. The Koroit Gardens are important for the survival of plants provided by von Mueller from the Melbourne Botanic Gardens in 1870, and the 1880 design by William Guilfoyle. Guilfoyle was appointed Director of the Melbourne Botanic Gardens in 1873 and redesigned the Melbourne Gardens over 36 years to be one of the finest botanic gardens in the world. He is regarded as one of Australia's greatest garden designers. The 1880 Guilfoyle plan, drawn by Robert Whitworth, is a rare surviving 19th century landscape plan. The Koroit Botanic Gardens laid out in the 1880s closely mirror the Guilfoyle plan up to the western wind break. The Gardens is substantially intact to the 1880s plan except for the area to the North West, currently used as a caravan park. The caravan park sits within the realised planting scheme of the 1880s plan. Similar designs occur at Horsham (1880), but a smaller area remains intact, and at Hamilton (1881). The Guilfoyle plan was only partially implemented at Camperdown (1890) and Colac (1910). Unfortunately no plans survive for Warrnambool (1877) and the Royal Botanic Gardens (1873-1909) which is Guilfoyle's finest landscape. The Koroit Botanic Gardens are of aesthetic significance for the layout and planting developed to a design prepared by William Guilfoyle in 1880. The Guilfoyle landscape combines both picturesque and gardenesque styles with serpentine gravel paths, sweeping lawns dotted with eye-catching specimen trees. It is enclosed with a windrow of Monterey cypress on the north, west and south, and with evergreen and deciduous trees and shrubs on the east. Within the Koroit landscape, the Gardens are of outstanding beauty and illustrate seasonal change, contrasting plant forms and foliage, combined in a unified landscape design. Local significance arises from the long vista to the mature treed landscape of the Gardens, in contrast with the generally flat, treeless, surrounding landscape. 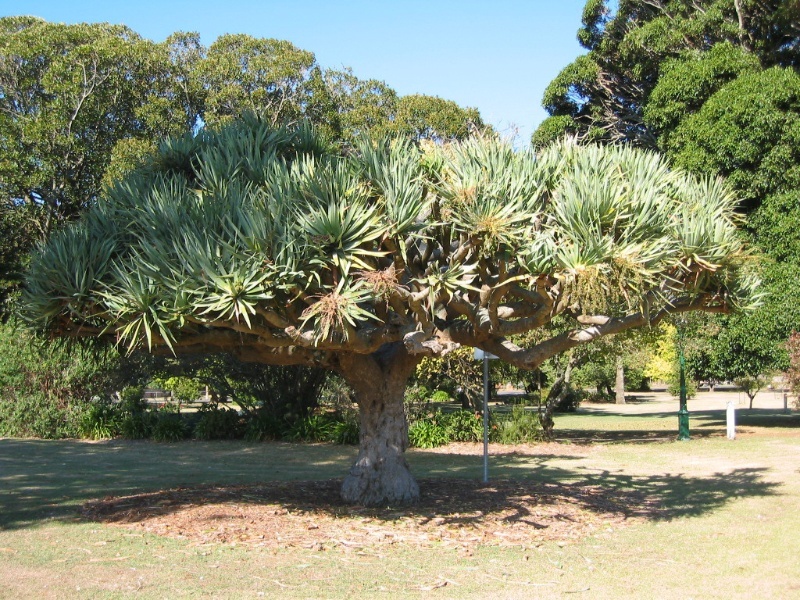 The Koroit Botanic Gardens are of scientific (botanical) significance for their extensive collection of contributing trees and shrubs. The outstanding collection of significant plantings include: Araucaria columnaris, two A. cunninghamii, Cupressus torulosa, a rare Rapanea howittiana, Draceana draco (a world endangered species), Ficus platypoda and Fraxinus ornus, all are the largest and finest in Victoria. Contributory trees and shrubs include a variety of conifers; Araucaria heterophylla, A. bidwillii, Agathis robusta, two Cedrus altanica f. glauca, Cupressus macrocarpa; two Ficus macrophylla and evergreen trees. Few gardens in Victoria have the same number of significant trees in a relatively small area. Koroit Botanic Gardens, High Street, Koroit, Moyne Shire Council. 3. 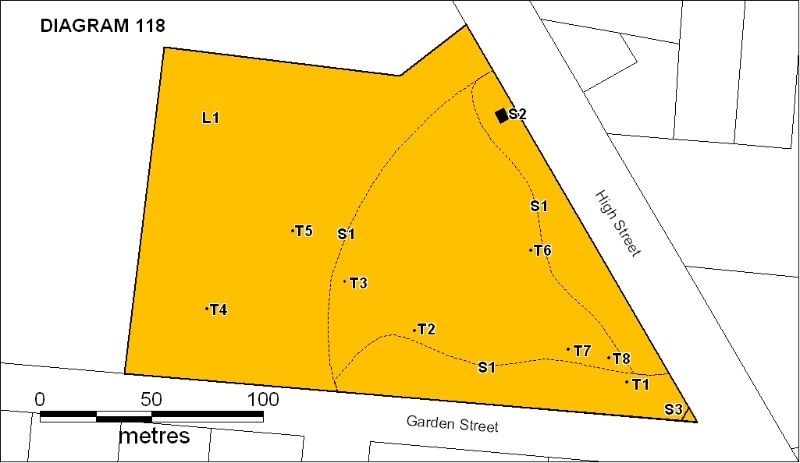 All the land known as the Koroit Botanic Gardens being part of the land gazetted as Crown Reserve Rs 1086, being CA 26A of Section 48, Yangery Parish, Parcel no. P041452 and reserved permanently for Public Gardens and Recreation Purposes,marked L1 on Diagram 118 held by the Executive Director. 4. All the object known as the 1880 Borough of Koroit Public Gardens Plan designed by W. R. Guilfoyle and drawn by Robert P.Whitworth and held by the Shire of Moyne. Koroit Botanic Gardens are one of the earliest provincial botanic gardens in Victoria, shown on an 1857 township plan and permanently reserved in 1873, and designed by one of Australia's greatest landscape gardeners William Guilfoyle in 1880.
. The process of gardening, including mowing, hedge clipping, bedding displays, removal of dead plants, disease and weed control, erection of possum bands and maintenance to care for existing plants. - Repairs, conservation and maintenance to drainage and irrigation systems, and installation of new irrigation and drainage systems, which are 5m beyond the feeding and structural root zones of contributory and significant trees and shrubs.
. Replanting to a Management Plan derived from the landscape character identified in the Statement of Significance and endorsed by the Executive Director.
. In the event of the loss of any plant noted in the Statement of Significance, replanting with the same species of tree or plant as that removed.
. Erection of plant labels.
. Management of trees in accordance with Australian Standard; Pruning of amenity trees AS 4373.
. Repainting in the same colour of previously painted surfaces. 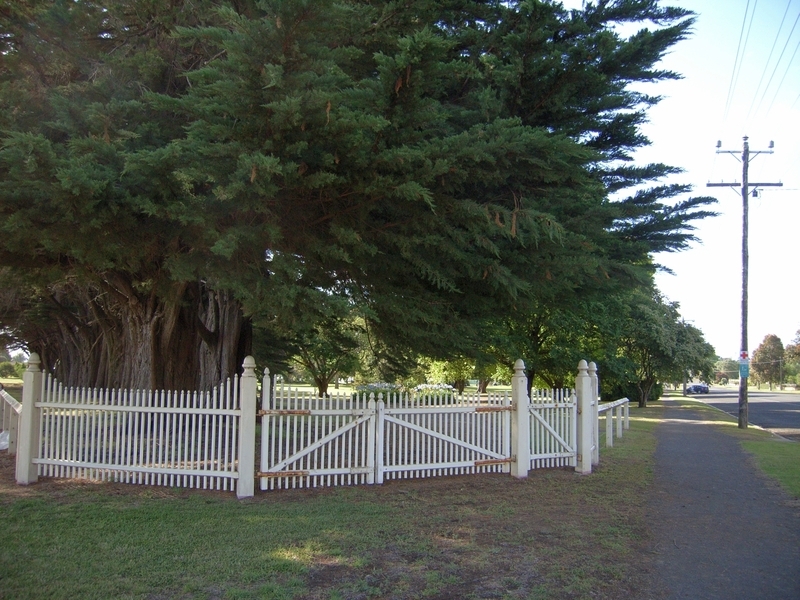 Conservation and management of the Koroit Botanic Gardens should retain the landscape character (referred to as the "Guilfoyle style") to include conifers, evergreen and deciduous plants, bold and tropical foliage, planted in beds and shrubberies, and as stands and specimen trees in lawns. The importance of the Botanic Gardens lies primarily in its layers of planting which combine to create a landscape of significance. The Koroit Botanic Gardens Conservation Plan 1999 clearly establishes the significance of the Gardens, identifies significant fabric and provides conservation policies to guide the management of the Gardens and its components. It is desirable that a conservation management policy is prepared for the original Guilfoyle manuscript prepared by Watson. Heritage Victoria would approve the removal of the manuscript to the Manuscripts Collection of the State Library of Victoria or a similar repository, but should be advised prior to any relocation of the document. 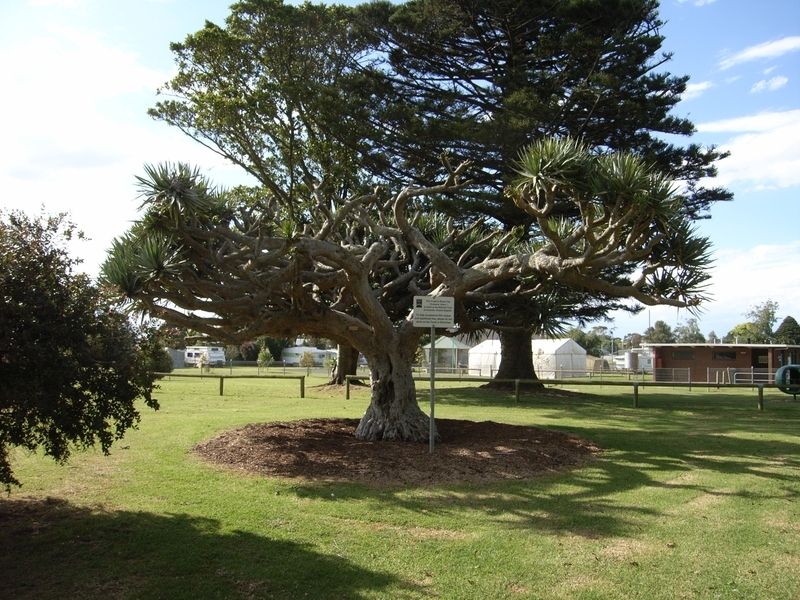 The Caravan Park has a long association with the Koroit Botanic Gardens. Appropriately managed, this use would not be inconsistent with heritage values of the place. The Caravan Park should be generally contained to the existing extent on the north west corner. It should not impact upon the root zone of contributory or significant trees or interrupt the open landscape views within the Botanic Gardens reserve.